Data acquisition systems support the collection and processing of data from Ground Conductivity Meters and Metal Detectors. Every data acquisition system includes all required components for data collection and processing including: a data acquisition unit; separate cables for data collection and data transfer; and software appropriate for both data collection and processing. 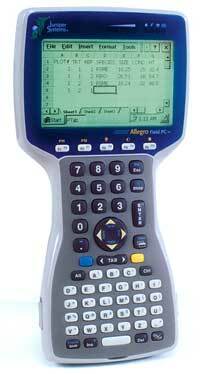 All data acquisition systems require a digital input signal. A compatible digital output signal is a standard feature of the EM31-MK2 and EM38-MK2 Ground Conductivity Meters and all Metal Detectors; all other Ground Conductivity Meters require the real-time (RT) modification – to convert the output signal from analogue to digital – for compatibility with any data acquisition system. DAS70-AR2 : including a rugged field computer with 8 GB storage memory, the DAS70-AR2 provides an enhanced level of support for data collection, including the option to collect EM and GPS data simultaneously.